With age, the form and function of our bones and muscles drop off, putting us at increased risk for frailty and falls. Now researchers at the Medical College of Georgia at Augusta University are dissecting just what happens to the stem cells making these tissues that help keep us upright, with an eye on improving our health span. Osteoporosis already is a major public health problem affecting about 44 million Americans and costing billions annually. The world’s older population is growing at an unprecedented rate with 8.5 percent of the worldwide population – 617 million people – currently age 65 and older. That proportion is estimated to reach 17 percent by 2050, according to the National Institute on Aging. “After age 50, you start losing about 1 percent of both muscle and bone per year,” says Dr. Carlos Isales, endocrinologist, Regents’ Professor and vice chair for clinical affairs in the MCG Department of Neuroscience and Regenerative Medicine. “Everybody – if they live long enough – is going to develop osteoporosis. “Daily exercise decreases the slope of that decline. But what we are focusing on is trying to see if we can flatten the curve even further,” says Isales, principal investigator on a new $11.1 million Program Project grant from the National Institutes of Health. Time seems to alter the dynamic between the mesenchymal stem cells making bone and muscle and the amino acids that fuel them. The MCG scientists also have evidence that time changes the signals stem cells send each other. The bottom line: Our stem cell population gets reduced and the cells we have become less efficient at making bone and muscle, often opting for the easier task of making fat instead, Isales says. 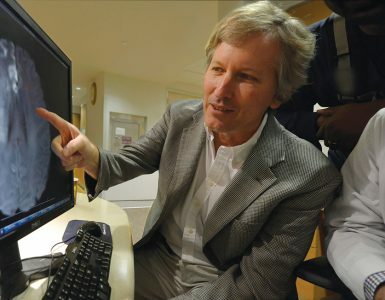 The team – which also includes principal investigators bone biologist Dr. Mark Hamrick, stem cell researcher Dr. William D. Hill and biomedical engineer Dr. Meghan McGee-Lawrence – wants to keep stem cells focused on making bone and muscle. “We are trying to figure out why the changes are happening and if we can target those cells to make them want to make bone again,” McGee-Lawrence says. Much as bone and muscle function is interwoven, so is their health, and the factors that promote their loss or survival also are similar, says Hamrick. A major culprit in their breakdown with age appears to be the metabolite kynurenine, a byproduct of the essential amino acid tryptophan, which is already associated with the degeneration of our brain and immune system as we age. To live well at any age, we require a healthy complement of 20 amino acids, nine of which are essential acids, which means we have to consume them. Essential amino acids are known to make proteins, a fundamental unit of our body that enables life, including everything from the antibodies that help protect us to the neurotransmitters that enable us to remember how old we are. The remaining amino acids have largely been viewed as producers of fuel for our cells, first broken down into sugars, and eventually to the fuel ATP. While embracing those and other traditional roles, the MCG scientists hypothesize that amino acids also function as endocrine hormones that bind to receptors and activate signaling pathways in our cells. However, just as many of our senses dull with age, our mesenchymal stem cells seem to lose the ability to “sense” what amino acids are saying to them. Increased oxidative stress that comes with age and disease further alters the usual, healthy response. 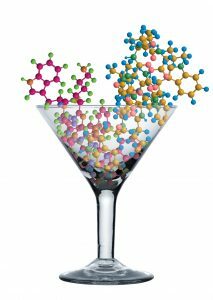 The scientists’ many pursuits include figuring out whether the right amino acid cocktail can bring mesenchymal stem cells back to their senses. Tryptophan is among the nine amino acids our body can’t make so we must consume it in foods like turkey and soybeans. Among their many functions, aromatic amino acids like tryptophan work as antioxidants, at least until they become oxidized themselves, when they instead contribute to oxidation by producing the unhealthy metabolite kynurenine. Kynurenine results when the enzyme indoleamine 2,3 dioxygenase, or IDO, which a variety of tissues make to help moderate an immune response, first oxidizes tryptophan. IDO goes up with age because inflammation does as well. Inflammation is essential to a lot of body positives like wound healing and even building muscle and bone. But while your overall immune response goes down with age, leaving you more vulnerable to diseases like cancer, inflammation goes up, leading to a host of problems like cardiovascular disease and supporting cancer development. It’s called inflammaging, which drives up IDO and increases the conversion of tryptophan to kynurenine. Kynurenine piles up, appearing to alter the dynamic of stem cells and bone and muscle formation. Isales notes that, regardless of our diet, tryptophan circulates at the lowest level of our amino acids, which likely leaves it vulnerable for this undesirable transition. In an effort to restore a healthier balance, the scientists are feeding different iterations of amino acid cocktails that they hope will reverse age-related damage and rejuvenate cells in both their animal model and in human cells retrieved during a hip or knee replacement. Realistically, they know they may find that other amino acids produce similar problems as tryptophan in the aged environment. So they also are taking more direct approaches like whether an IDO inhibitor – already in clinical trials as a cancer fighter (see page 26) – can reverse changes and get stem cells to regain more youthful function. They have laboratory evidence that in mice at least, high kynurenine levels impact the ability of stem cells in the bone marrow to make bone-forming cells called osteoblasts. In fact, even relatively young mice fed kynurenine experience bone loss, with increased bone destruction by cells called osteoclasts, as well as increased fat in their bone marrow. Conversely, mice with IDO knocked out maintain strong bone mass. “You can make an old mouse young and you can make a young mouse old,” Hill notes. The team also has evidence that part of how age-related increases in kynurenine does damage is by altering microRNAs – small but powerful pieces of RNA that can control expression of hundreds of genes at the same time – as well as vesicles called exosomes that are hauling the microRNAs around. “Exosomes are one mechanism of crosstalk between cells and also between different organs. Your liver is producing exosomes, fat produces exosomes, they will hit other organs and they carry, in some cases, positive messages and in some cases bad messages,” says Hamrick, who is leading the project to restore positive messaging. They have laboratory evidence that aging alters at least two microRNAs, miR-141 and miR-183, which prompts cells to make bone-eating instead of bone-forming cells. Again, they have shown that even young stem cells exposed to older exosomes will assume this bone-reducing stance. But they also have some evidence that some of the dietary interventions Isales is looking at could reverse the ill effects. The team recently reported in the journal Tissue Engineering that exosomes from old and younger mice were similar in size and number and both had a lot of miRNAs. But aged exosomes had significantly and specifically more miR-183, an miRNA already associated with cancer. In this case, high miR-183 appears to decrease cell proliferation and the ability of immature cells to become bone cells and to support the general deterioration that comes with age, called senescence. The usual, age-related increases of reactive oxygen species and overall oxidative stress help increase miR-183 levels and these undesirable results. When researchers treat mesenchymal stem cells from young animals with exosomes from old mice, it suppresses formation of muscle-making genes; giving miR-183 directly to bone- and muscle-producing cells makes them start acting old. Now they want to know more about how aging changes the secretion and cargo of exosomes by mesenchymal stem cells and how that in turn contributes to bone and muscle loss. A third project, led by Hill, is focusing on the cargo, the miRNAs, to learn more about exactly how they impact bone formation and turnover. “We think that the amino acids are controlling the expression of specific sets of microRNA,” Hill says. That means they may want to target and even eliminate key or critical microRNAs, which could obviously affect expression of numerous genes as a result. They also are exploring aging’s impact on stromal cell derived factor 1, or SDF-1, which is critical to helping keep stem cells in the bone marrow and focused on making bone. 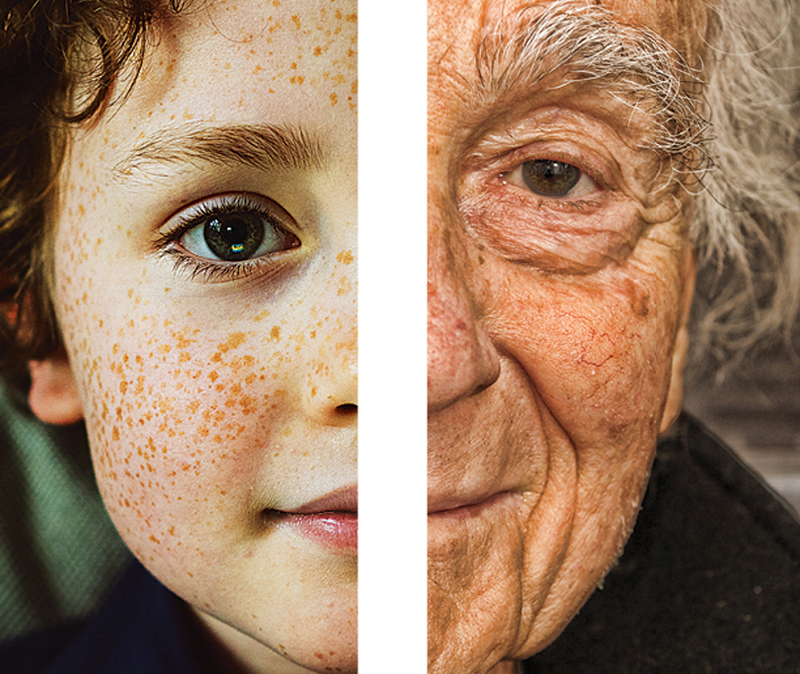 Age-related changes appear to make SDF-1 instead encourage stem cells to wander. The researchers note that while these cells do often need to leave the bone marrow – say to help heal an injury – these age-related travels are random, and often cells just don’t find their way back. A consistent goal is identifying intervention targets. “The idea is if we can change the environment and change how they are signaling to themselves and to other cells, we can modify the stem cell directly that way,” Hill says. They are looking upstream as well for earlier points of intervention, including what is happening to histone deacetylase-3, or HDAC3. 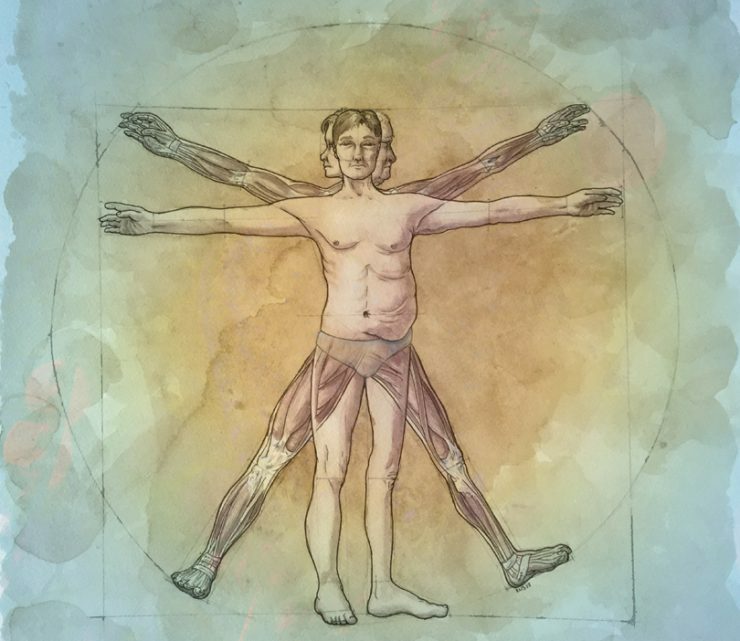 They have evidence that HDAC3, another pervasive regulator in the body that can turn gene expression up or down, is important in stem cells’ age-related propensity to make fat instead of bone. At least one reason is that reduced HDAC3 means less bone, which literally makes more room for fat, says McGee-Lawrence, who is leading these studies. Her previous studies have shown that when HDAC3 gets deleted from the skeleton, bones are weaker, much like what occurs with aging. Now they have evidence that mice treated with kynurenine, for example, have suppressed HDAC3 expression in the bone. They want to know more about just how HDAC3 gets suppressed as we age and exactly what that does to bone formation and fat storage besides just making room. The new grant is allowing them to put the pieces together better, looking further at just what suppresses HDAC3 and what suppression does to bone versus fat formation. The bottom line again is identifying early points of intervention and potentially nutrients to intervene. Identical twin studies have shown that environmental factors definitely play a role, since the bone/muscle health of these twins often is not identical even though their genes are, Isales says. Rather than changing the genes themselves, environmental factors appear to have changed their expression, i.e., which ones are turned or on off. These epigenetic changes include factors from diet to stress to sleep patterns to age. Isales also is vice chair of clinical and translational research in the MCG Department of Orthopaedics and a faculty member in the MCG Department of Medicine. 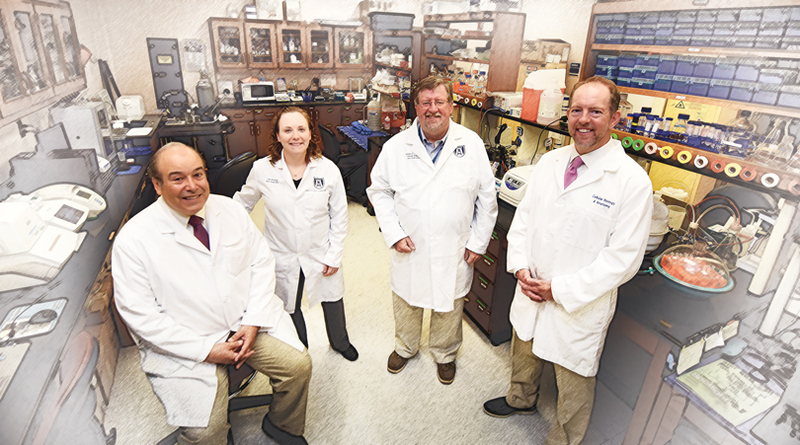 Hamrick, Hill and McGee-Lawrence are all faculty members in the MCG Department of Cellular Biology and Anatomy. Dr. Wendy B. Bollag, cell physiologist in the MCG Department of Physiology, is a coinvestigator on the amino acid supplementation studies. Other scientists helping support three core laboratories for the interrelated studies include the Administrative Core with Biostatistics, Maribeth Johnson and Dr. Jie Chen, MCG Department of Population Health Sciences; the Bone Biology Core, Dr. Mohammed Elsalanty, Department of Oral Biology, Dental College of Georgia at AU; and the Bone Stem Cell Core, Dr. Xingming Shi, MCG Department of Neuroscience and Regenerative Medicine. While he isn’t suggesting we start ingesting, say, porcupines, Dr. Carlos Isales definitely suggests more variety in the amino acids we do consume. “Our diets lack heterogeneity,” he says, especially compared to sources of proteins and grains when we were still foraging in the wild. “Different signals are produced by different amino acids and we are using the same signals over and over and over,” Isales says. Unfortunately, they could be sending unhealthy, or at least, conflicting messages to our bone and muscle. While a variety of amino acid combinations already are prescribed for the bedridden and self-prescribed by body builders, Isales and team want to understand at the level of tissue regeneration just what combinations are needed to help our stem cells make healthy muscle and bones. As an example, some recent animal studies looking at the density of the femoral bone by the MCG team found, not surprisingly, that a low-protein diet increases bone loss. When the scientists added a cocktail of the amino acids serine, threonine and valine, even more bone was lost until it was chased with another of phenylalanine, tyrosine and tryptophan. “There are some amino acids you are eating that are harmful for bone but they are good for something else. That is why you need variety,” Isales reiterates. It’s also why the scientists need objective data on the healthiest amino acid combinations out there. 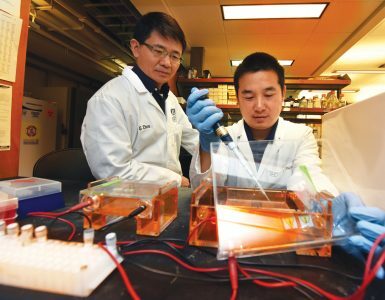 “Our focus is trying to optimize function for the stem cells so that they can do what we want them to do for that individual, whether it’s build muscle, build bone or both and/or regenerate broken tissue,” he says. Georgia has one of the nation’s fastest-growing and fastest-aging populations with a populace topping 10 million and nearly 11 percent of those individuals age 65 or older. “But there is no comprehensive approach here to the aging process,” says Dr. Carlos Isales, endocrinologist and vice chair of the MCG Department of Neuroscience and Regenerative Medicine. 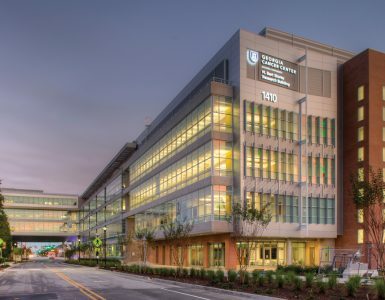 He and his MCG colleagues are taking the first steps toward a center focused on healthy aging, and modeled after the National Cancer Institute-designated cancer centers, offering both the latest treatment as well as translational research to find better therapies. His goals include designation as a National Institute on Aging Claude D. Pepper Older Americans Independence Center, named after the late Florida U.S. senator. There are currently 15 Pepper centers in the nation, many clustered in the northeast, and their mission is to increase scientific knowledge that enables older Americans to maintain or regain healthy independence. Initial foci for the developing MCG center include both osteoporosis and related muscle weakness as well as Alzheimer’s, as scientists and clinicians here further explore the connection between a healthy – and unhealthy – body and brain in the dynamic aging process. The initial team scope will include endocrinologists, rheumatologists, geriatricians, primary care physicians and neuroscientists. MDs will spend more time with PhDs and vice versa, to ensure maximum synergy. A geriatric training program that better enables MCG to educate the next generation of physicians for this growing population also will be pursued. “There has been a fair amount of focus on Alzheimer’s in our state because of the understandable concern about that condition, but that is not the only loss we experience as we get older. We get sarcopenia, we often lose balance, mobility, independence,” says Isales, who for a quarter of a century has been treating and investigating the bone loss and related muscle wasting that can occur as we tick into our fifth and sixth decades. “That’s why we want to take a compre-hensive approach to the unique health care needs of the aging population,” says Isales.